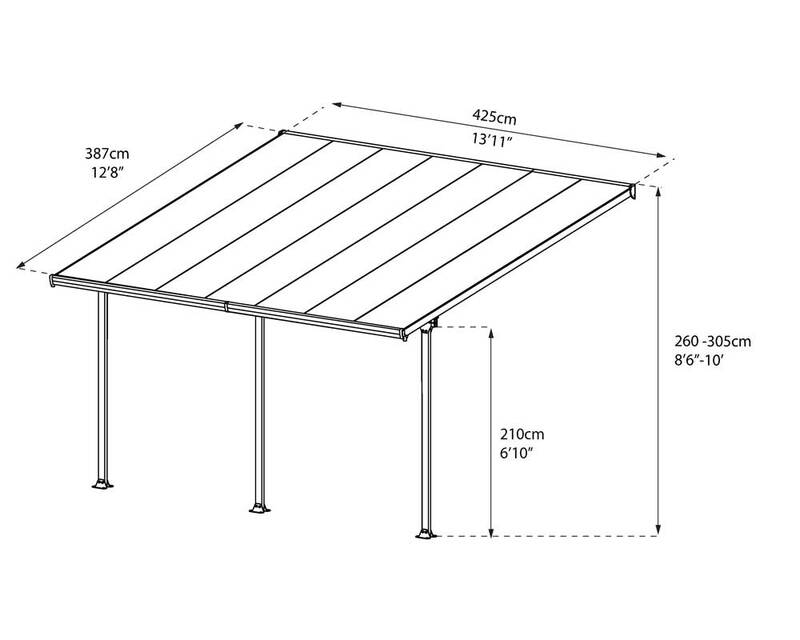 Feria polycarbonate patio kit – the complete solution to your pergola needs. They are available in a range of different sizes and can be customised by joining two or more kits with a link kit or by adding extension kits (for smaller extensions). 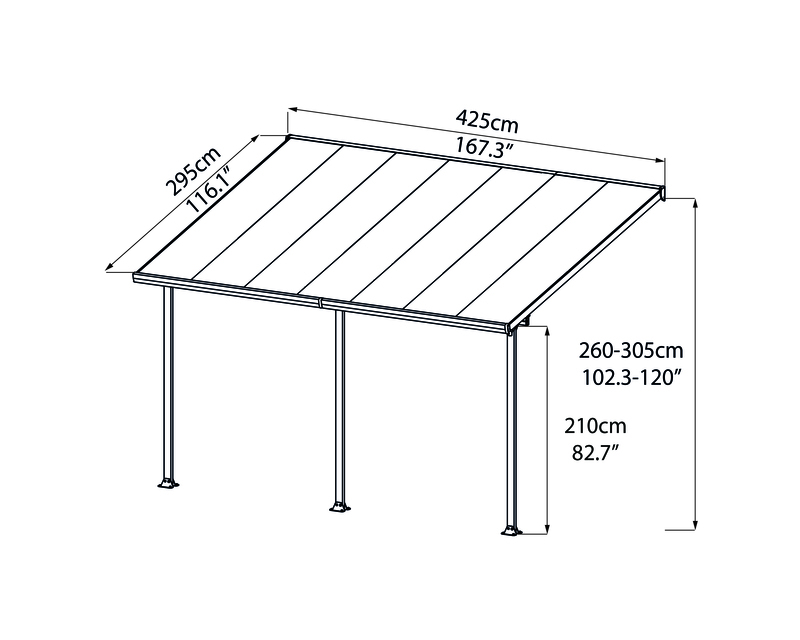 These polycarbonate pergola kits utilise SUNPAL multiwall polycarbonate sheeting for exceptional strength and protection from UV and weather conditions. They are available in a range of frame and polycarbonate colours, see below for details. 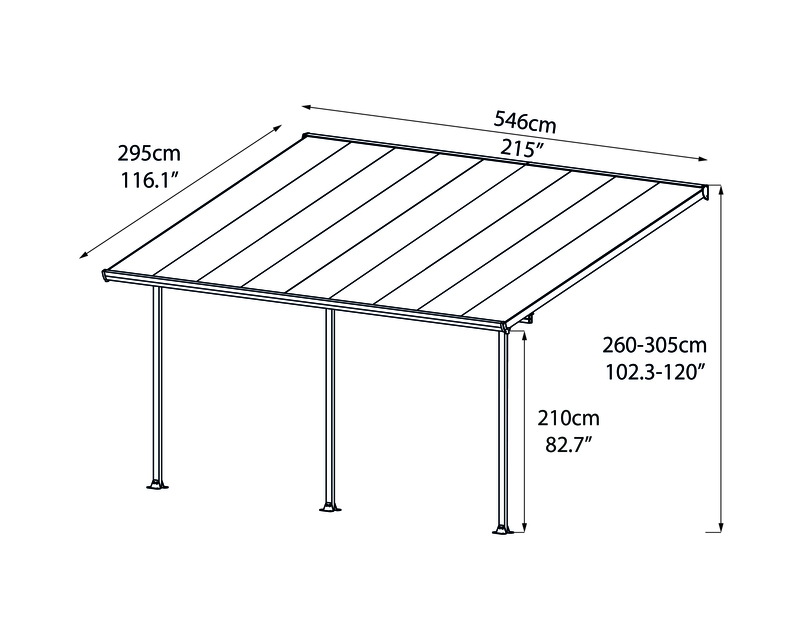 The Feria pergola kits are made from 8mm Sunpal polycarbonate sheets. Sunpal is a leading brand in polycarbonate sheeting throughout the world. Available in a range of sizes and colours to suit your purpose. 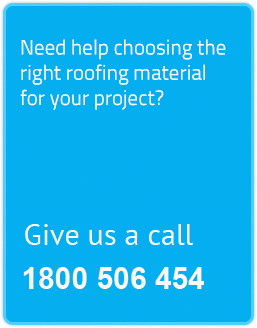 Each kit has the ability to take some adjustment to the system to allow for differences in roof pitch and post position. 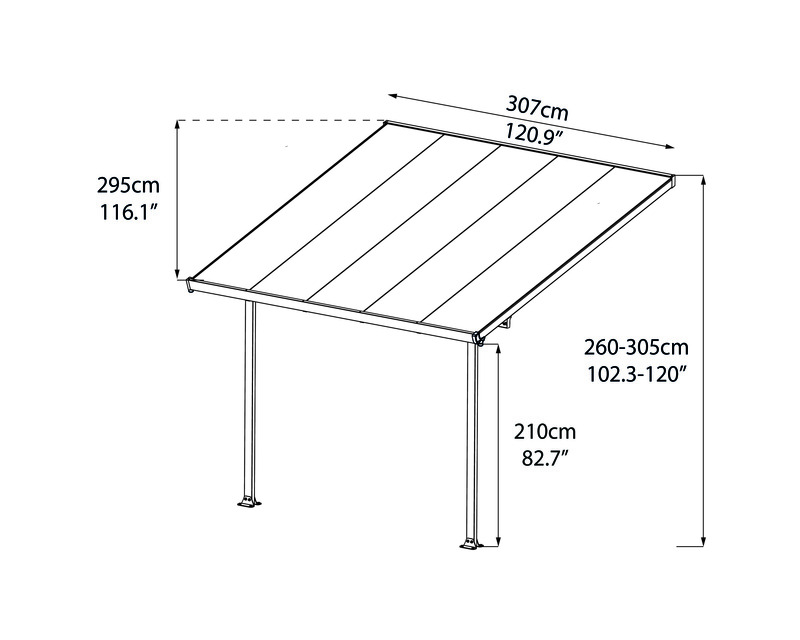 Each pergola can be joined using an ‘ezy link kit’ to truly customise your area and suit almost any application. 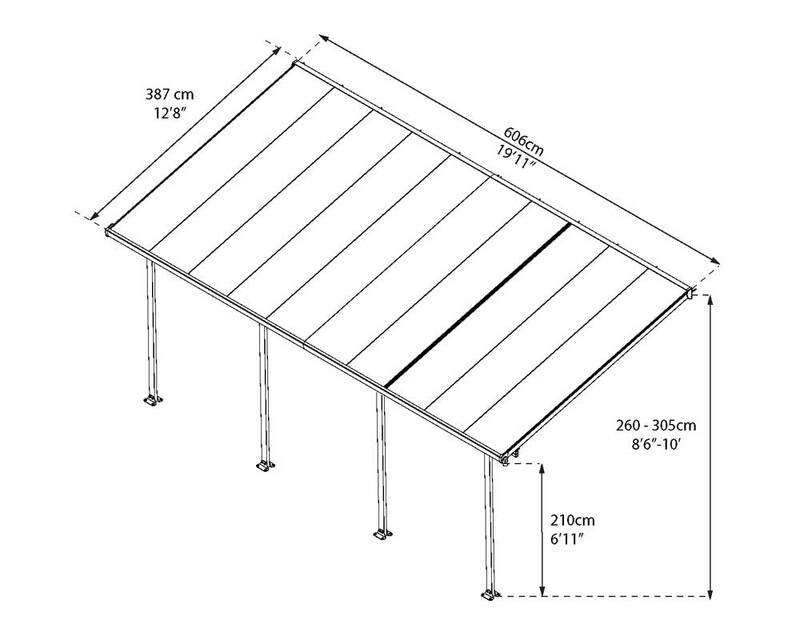 If you are looking for a bit more shelter you can select an optional side wall kit to fill in the side walls of the structure. Adjust the starting height of the roof on the wall or fascia (adjust measurement A), adjust the position of the posts away from the wall (adjust measurement B) or adjust the position of the posts along the width of the patio (adjust measurement C). Add 1 or more extension kit/s, or use an ‘ezy link’ kit and join two or more kits together to customise the structure size. The 4 x 4.2 guide includes instructions on assembling the 1.8 extension (if required). If joining 2 structures together refer to the “ezy link’ kit instructions below.